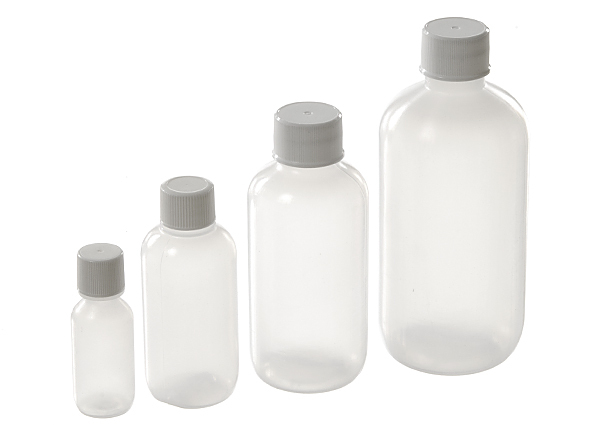 Narrow mouth low density bottles are durable and flexible. Can be used for many applications such as food, personal care products as well as some chemicals. Bottles include a white polypropylene cap. 1/2 oz. through 8 oz. available.